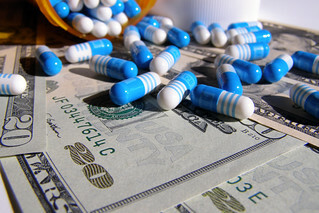 I’m very anti-Big Pharma, as my readers well know, and even I found this guest post scathing. Watch out! Not for the faint of heart! The pharmaceutical industry makes all possible efforts to obfuscate their greed. One such attempt is to scare people away from alternative therapies and medicines to earn profits by selling the prescription drugs they manufacture. It appears that these avaricious manufacturers may go to any length for earning their profits because they adopt various other tactics also to sell their products. Preying on People. But still, big companies in the pharmaceutical industry do not want consumers to switch to alternative ways to cure their health issues. Another point is that prescription drugs are being prescribed for fictitious and non-existent ailments, in turn creating a psychological fear in the minds of people. Once these people start using these drugs, they will have to take them till the end of their lives. These pharma companies will end up happily pocketing huge profits. Creating Dependence. What is happening is nothing but mass poisoning of people with unwanted chemicals. The bad consequences of some of these prescription drugs are that young children may turn violent and some of them may go to the extremes of killing people or killing themselves. In the case of middle-aged people, they die untimely deaths. It is better not to talk about the case of senior citizens. Instigating Control. The pharma industry has only one aim. The big companies of this industry not only do not want people to turn to alternative therapies but, they do not want them to get the benefits of nutritious foods or herbs. They do not like even if people try to buy drugs from other sources or countries. They want Americans to buy their drugs only in the US so that profits do not slip away from their hands. For achieving this aim, they are ready to resort to all sorts of tactics including propagating imaginary and dangerous stories about the other sources. Simply put, they want to monopolize profits. Even a desultory calculation will reveal that these manufacturers are pocketing mammoth, mind-boggling profits. Unfortunately, some of the people in the top echelons in the US government are said to share a cordial relationship with these companies. With such political backing, these companies trap people and make them take drugs they may not need at all. To make their plans work, these greedy companies are said to spend money greasing the palms of the concerned authorities. Education. There is only one way to stop this appalling crime and that is public education. People should be educated so that they can realize the magnitude of this problem. Not only that, the heads of those companies and those who have connived with them to perpetrate this crime should be booked and convicted. The FDA should also be completely revamped. Alternatives. People should realize that if they choose the right foods, they can get all types of nutrition and so, they can protect themselves from many diseases. They should know the efficacy of yoga, meditation, deep breathing, etc. and also of alternative medicines like herbal therapy, pranic healing, etc. But, if they continue with these prescription drugs, they will never be able to get rid of the diseases. They will have to continue to take these drugs till the end. Magdalene Greene worked as the executive assistant of a marketing head at a known advertising company. She wants to learn about strategic pharmaceutical marketing and services and hopes to have a mentor like Mary Szela, former senior vice president of a worldwide pharmaceutical company.